Contact Adhesive Chalk Board Paper Peel & Stick Roll Just $5.99 Down From $29.99 At GearXS! Ships FREE! You are here: Home / Great Deals / Contact Adhesive Chalk Board Paper Peel & Stick Roll Just $5.99 Down From $29.99 At GearXS! Ships FREE! GearXS has this fun Contact Adhesive Chalk Board Paper Peel & Stick Roll on sale for $5.99 (Reg. $29.99) when you use promo code GSX-3 + FREE shipping! 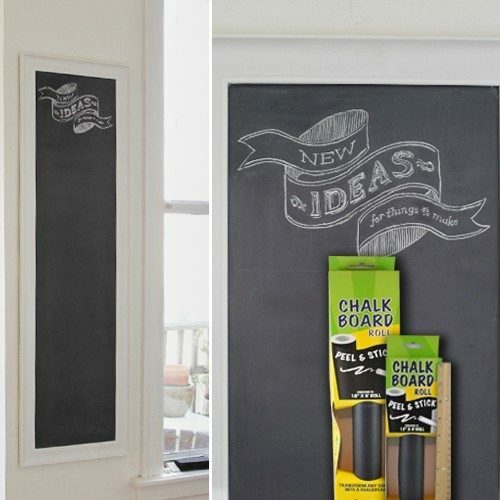 Turn anything into a writing surface with this self-adhesive chalkboard. Perfect for home, school, or office. Cut to any shape and size. Peel position and reposition. Write and wipe.